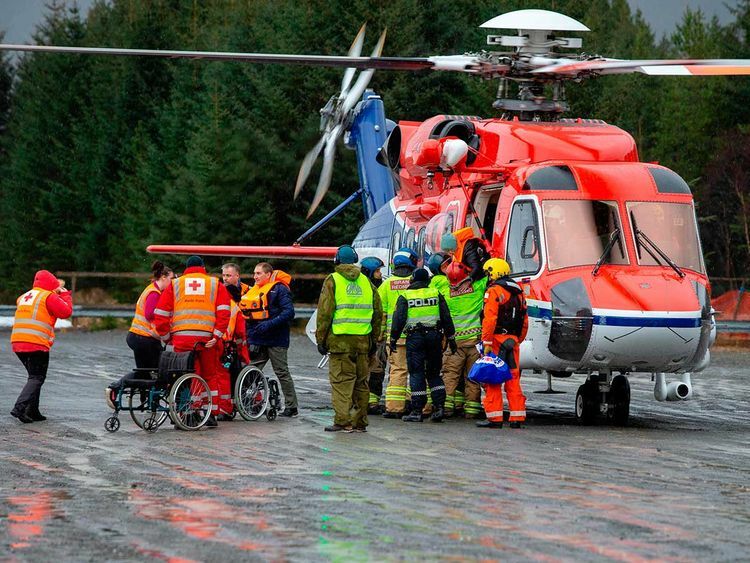 OSLO: Rescuers were working on Sunday to airlift more than 1,300 passengers and crew off a cruise ship after it ran into trouble in rough seas off the Norwegian coast. The Viking Sky lost power and started drifting mid-afternoon Saturday in perilous waters two kilometres (1.2 miles) off More in Romsdal, prompting the captain to send out a distress call. “We would rather have the passengers on land rather than on board the ship,” police chief Tor Andre Franck said. “Towing cables are being set up by the tugs,” southern Norway’s rescue centre said on Twitter. “We were sitting down for breakfast when things started to shake ... It was just chaos,” said another passenger, American John Curry, as quoted in Norwegian by media.